Check back often as we are always adding new classes. 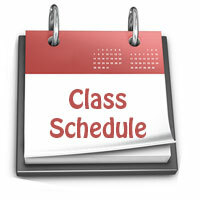 *Unless otherwise indicated, class times are 6pm-9:30pm nightly. You will meet at the store for the first session and the be instructed as needed. Please bring all gear, swimsuit and towel to each session. All pool sessions are taught in the pool at the West YMCA located at 5959 Discovery Place. Each line is it’s own course from start to finish. A long ways from Boise? No problem! Call Charlie to arrange a weekend course. Open Water dives in the summer months are done locally and at the convenience of the class and will be discussed with you by the instructor. Open Water Dives are usually held locally in the months from May-October. Our local dive sights include LuckyPeak, Arrowrock Lake, and Quinns pond. In the colder months Oct/Nov-April we go to Bluelake. Blue lake is a natural occurring and realistic dive site with depths nearing 60 feet and water temperatures in the 90s at the bottom and 70s at the surface. It has platforms to do skills on and two sunken boats and a bunch of sculptures. Visibility can approach 20 feet.